FacilitiesThe hotel offers a range of services and facilities for holiday makers and business guests alike. Internet access and wireless internet access are available to guests.RoomsThe accommodation units each feature a sofa-bed. In addition, a fridge, a microwave and tea and coffee making equipment are available. 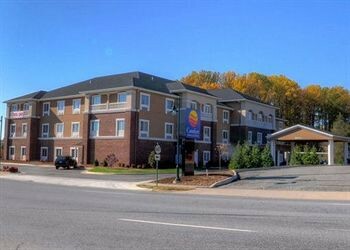 Guests can enjoy a comfortable holiday with convenient amenities, including internet access, a telephone and wireless internet access.Sports/EntertainmentSport and leisure options are offered by the hotel and third-party operators. The hotel offers an indoor pool. Guests can recline in the luxurious hot tub and be massaged by the hydro jets. Leisure options available to guests include a gym. MealsThe establishment offers breakfast as a bookable board option.